Xiaomi Redmi Note 6 Pro VS Xiaomi Redmi 6 Pro: Any Difference? Home Comparison Xiaomi Redmi Note 6 Pro VS Xiaomi Redmi 6 Pro: Any Difference? On the design, the Xiaomi Redmi Note 6 Pro is built with an Aluminum Alloy material and it’s available in Gold, Blue, Black, and Rose-Gold colors, while the Xiaomi Redmi 6 Pro is built with all metal and it’s available in Gold, Rose-Gold, Blue, Red, and Black colors. Both phones feature a dual rear camera with a fingerprint sensor as well. On the front, they also have a notch offering a bezel-less screen display. 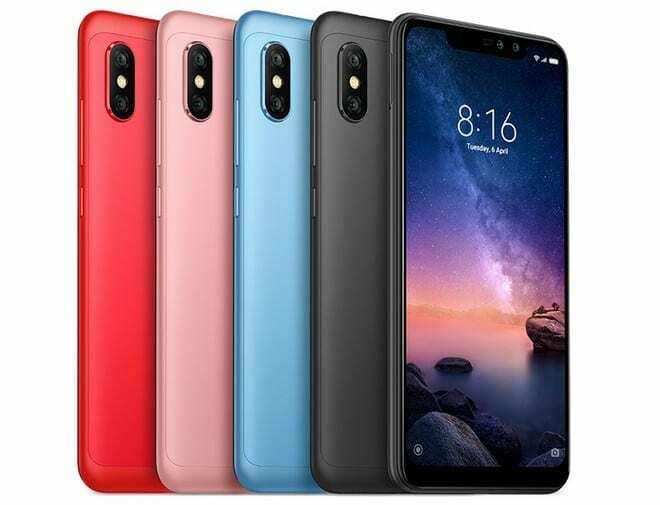 The Xiaomi Redmi Note 6 Pro has a screen display size of 6.26-inches FHD+ with a resolution of 1080 x 2280 Pixels and 403 PPI density, while the Xiaomi Redmi 6 Pro has a smaller display screen size of 5.84 inches with a resolution of 1080 x 2280 Pixels and 432 PPI density. Both phones have a 2.5D curved glass covering the screen with a display protection as well. The Xiaomi Redmi Note 6 Pro has a higher screen to body ratio. So, the phone has the point in the display comparison. On the camera department, both phones have the same dual rear cameras of 12 Megapixels + 5 Megapixels with dual LED flash. The Xiaomi Redmi Note 6 Pro will take better photos here. For selfies, the Xiaomi Redmi Note 6 Pro has another dual rear cameras set-up. The front camera consists of 20 MP + 2 MP with Face Recognition, while the Xiaomi Redmi 6 Pro has a front facing camera of 5 Megapixels with F2.0 Aperture, and Face Recognition. 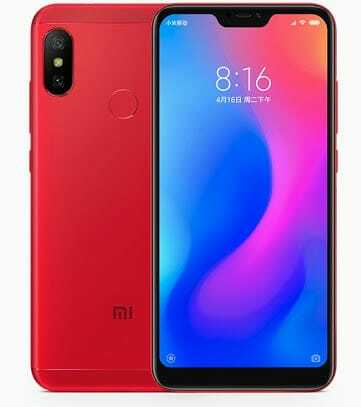 The Xiaomi Redmi Note 6 Pro has a Qualcomm Snapdragon 636 chipset with an octa-core processor that clocked at a speed of 1.8 GHz, while the Xiaomi Redmi 6 Pro has a Qualcomm Snapdragon 625 MSM895 chipset with an octa-core processor that runs at a speed of 2.0 GHz. Both phones feature the same inbuilt memory of 32GB and 64GB with a similar RAM of 3GB and 4GB as well. You can still expand their memory with a micro SD card. They are both powered by Android 8.1 Oreo operating system and they have support for dual SIMs with 4G LTE network. The Xiaomi Redmi Note 6 Pro and the Xiaomi Redmi 6 Pro has the same nonremovable battery capacity 4000 mAh with fast charging technology. On the price, the Xiaomi Redmi Note 6 Pro will cost around $199, while the Xiaomi Redmi 6 Pro will sell at a price of $159. In terms of performance, both phones will offer the same performance to users. The Xiaomi Redmi Note 6 Pro wins on the bigger screen, camera and the higher screen to body ratio as well. That’s is why it’s more expensive than it’s rival. So the Xiaomi Redmi Note 6 Pro will make a wise buy.